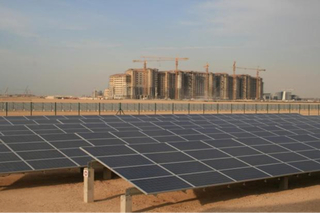 Dust build-up is the greatest technical challenge facing a viable, desert solar industry. A 0.4-0.8% per DAY baseline yield loss caused by dust. 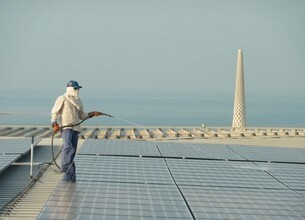 If left more than a day, dust particles from organics, dew and sulfur adhere to the panels. Expensive, unreliable, human labour in harsh, remote desert conditions. Water (desalinated, transported and wasted). Complex, sensitive equipment, that will fail in harsh conditions. Cleaning cycles of 7-14 days causing greater output losses, adhered dust and dust storm vulnerability. 1. Dust will accumulate fast, at non-standard and unforeseen rates. Dust storms can reduce output power by 60% in a single day, with background soiling rates of 0.4% per day. any length of time. At the same time, labor market uncertainties in the region are also profound. 3. Water is a precious, energy intensive commodity, and is not always readily available. It must be transported, and more is always needed than expected. Any water-based cleaning solutions will always be prone to breakdown if water supplies are interrupted or become more expensive. Using desalinated water to clean solar panels is counterproductive to real value, and environmentally unsustainable. 4. Complex or under designed solutions do not survive long, and sourcing solutions from overseas makes for long downtimes. These factors must drive the design and development strategy of cleaning solutions from the very beginning. 1. 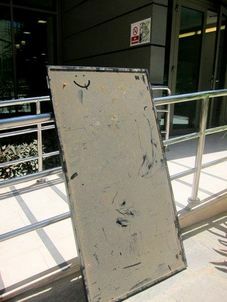 The solution must have the capability to clean the entire array, fast, in less than one day, no matter the array size. This will mitigate uncertainties about efficiency, and guarantee maximum possible output and income from the array after dust storms. 2. The solution should be fully automated. This will remove all the uncertainties around securing, controlling, supporting and monitoring a labor force, often in remote inhospitable locations. 3. The solution must be able to remove dust without water and without scratching, to remove the uncertainties surrounding water supply and cost, as well as warranty. 4. The system must be simple and tough, and locally sourced. NOMADD is the answer for the MENA Desert Solar Challenge.